Tu Minority Brocade is also called Xilankap. It is a absolutely necessary item in Tu Minority daily lives. Tu Minority people can not live without the brocade. 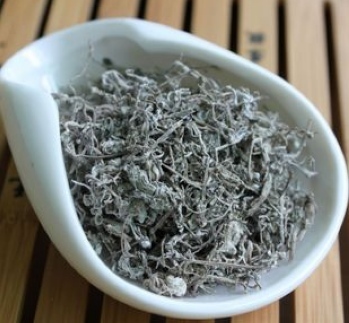 This is a unique drawing method which adopts the absolutely natural resources. 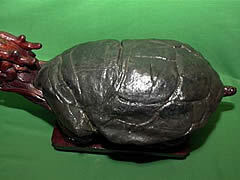 Materials for the pictures are sandstone, bark, bamboo shoot shell and rags. 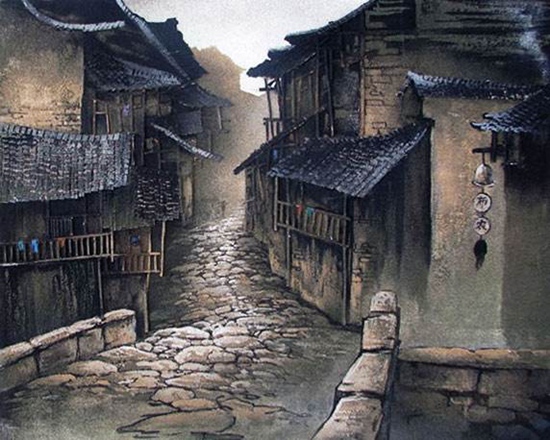 These pictures with no paper, no paint, no brush, no prepared Chinese ink are natural pictures. 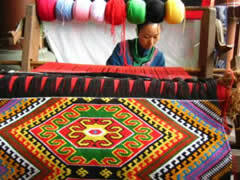 Laran is a traditional folk craftwork in Chinese Tu Minority. 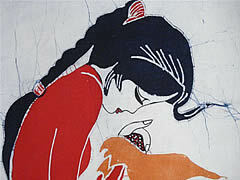 The batik is one of the three printing crafts in old China. 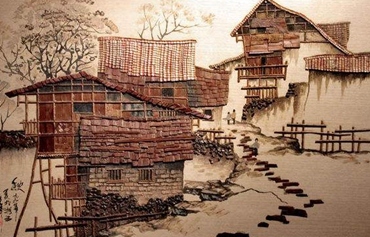 No matter in villages or stockaded villages of Zhangjiajie, girls learn batik from when they are a child. The skills often are devoluted generation after generation. 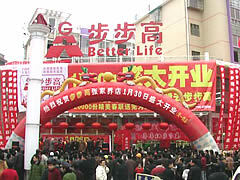 Better Life (BuBuGao) Supermarket opened its branch in Zhangjiajie in year 2005. 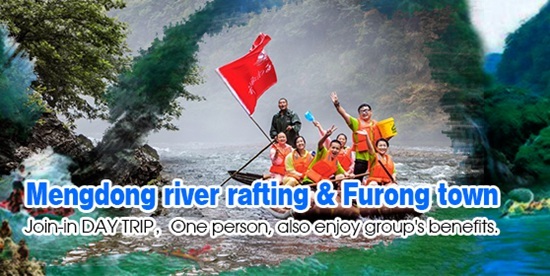 It is in the Jinhaian Commercial Center on Huilong Road, which is very close to Huantian Hotel (5-star). 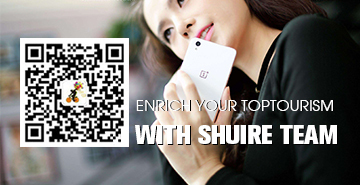 BuBuGao founded in 1995 is one the top 100 chain group in China. 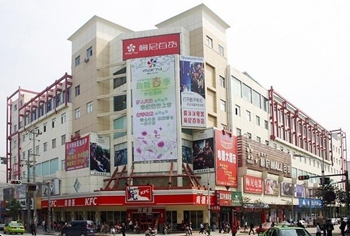 Zhangjiajie Meini Shopping Center is the other famous shopping centers in Zhangjiajie. 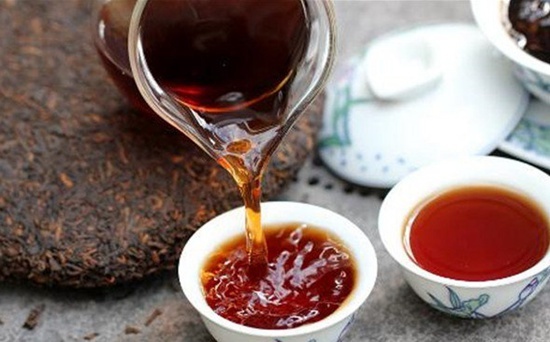 Meini Group developed from a small shop by road and now turns into a large chain group including two large super markets, four intermediate super markets and a cultural company in Zhangjiajie. 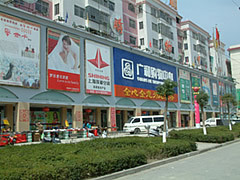 Guanghe Shopping center reposes on Lingyuan Road North, Yongding District of Zhangjiajie gathering shopping, dining and recreation. This shopping center is divided into two-storey. 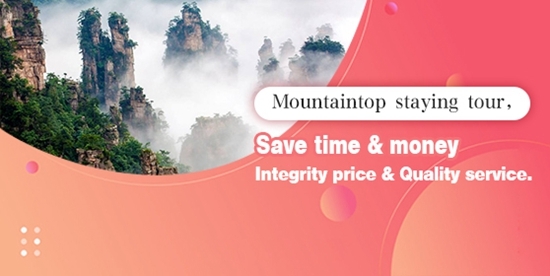 The first floor deals in general merchandise, clothes, cosmetics, tour commodities, local products, craftworks, watches, glasses, hats, shoes, clothes, cameras, develop and printing, gold and silver ornaments and local flavors, etc. The second floor is a super market. 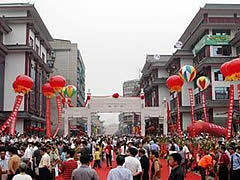 Tianzijie is a shopping street in Wulingyuan Beauty Spot next to the pedestrian street of Wulingyuan. 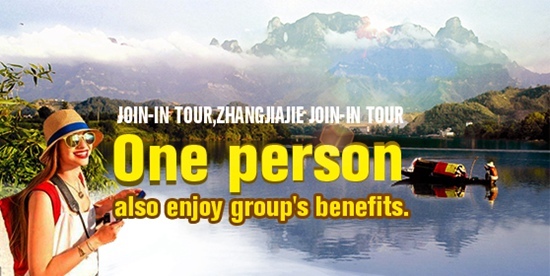 The big tour is the sign of Tianzijie. This street was in the past a bluestone road which was destroyed by flood. 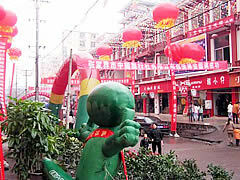 There are two commercial pedestrian streets in Zhangjiajie. People"s Square Commercial Pedestrian Street is in Zhangjiajie down town area-near People"s Square in Yongding District. This commercial street gathering tour, shopping and recreation is 200 long. Its south is connected to Huilong Road, and it connects Jiefang Road in north.